I'm very particular with my Ipod. The songs HAD to have the correct information including album cover. I-tunes isn't very user friendly and took several frustrating uploads to my Ipod. Apparently I had much to learn, ICK! John Mayer songs mixed in a Kanye album? Are you kidding me?!? I'm glad my friend Olive, a fellow Ipod OC, felt my pain and was patient enough to explain things. Learning from the mistakes of others is a good educational tool. Here are a few things I wish I knew and some I picked up along the way. I couldn't use my (nameless! Still waiting for the epiphany) Ipod without a case. Tin shared Belkin's acrylic case and I fell in love. It was clear which allowed the redness of my Ipod to shine through. What sealed the deal? Unlike other cases that had a hole at the wheel, this Belkin didn't. It had a thin plastic protecting the wheel. Perfection! Never leave a space (_) after the song title/artist/album cover. I-tunes considers it a different category. "Kate Nash" and "Kate Nash " are considered 2 different artists. Check the album cover's file size before pasting it in I-tunes because it adds to the song's file size. 20kb is good enough for me. "The Greatest Hits" as an album title is very original. You don't want your R&B songs to mingle with the alternative one just because they're part of a greatest hits album right? I simply add the artist's name: "The Greatest Hits - Smashing Pumpkins". It clearly says in the manual that the device has a maximum number of times that it can be charged. We all know that every time you connect the Ipod to the computer it charges. To avoid unnecessary charging I drain my Ipod, plug it in and load all my new songs. 2 birds with 1 stone! 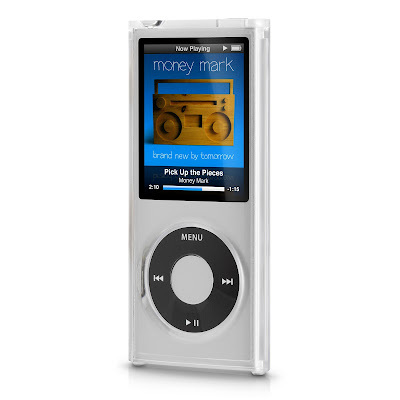 What other Ipod tips helped you out a lot?